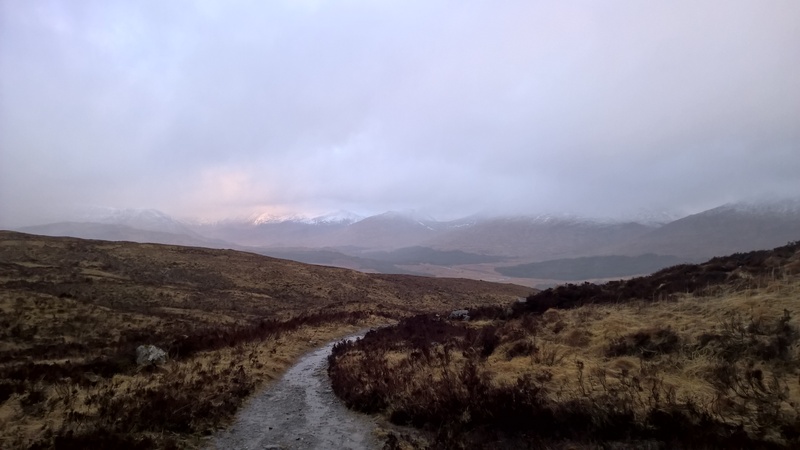 It’s just about a month to go now until I take part in the West Highland Way race and I thought it is worth sharing the planning that I’m doing for this epic race. I’m really, really looking forward to it and feeling really positive. I missed out on Transvulcania a couple of weeks ago as I had some work commitments come up which I had to prioritise. My friend Scott Robb still went and ran that race and had a hellish time, but I dare say the experience will now help him focus on the WHW. Finish in under 20 hours – This is an incredible time for a race like this, and might be a naïve goal on my part. Nonetheless, I’m planning for it or else I will never pull it off. Finish in under 30 hours – I discovered that this is the time limit which earns you the right to put in for an entry for the lottery for WS100. Now that might be an ridiculous thought, but I’m going for it anyway. Therefore, under 30 hours is a must and I’ll be really disappointed with myself if I am at this end of the time spectrum. Pace myself – For any of the above to happen, I have to nail my race pace. More on this later. Smile – I want to go through the whole race with a smile on my face. My training hasn’t been perfect and I know I’m not going to win the race. Therefore, I want to be happy and enjoy the experience for what it is. To achieve anything I have to be really diligent about my pace. Over the past year as my fitness has improved my average pace has got much faster and my endurance longer, so there will be a temptation to put that new horse power to the test from the start. I know though that, if I want to have a finish that doesn’t make me look like someone returning from the front line, I need to start off slow and steady. To understand how slow, I took a look at last years splits for the race. Given my sub 20hr target, I focused on the guys that achieved that time last year and how they got to it. A couple of things jumped out. Firstly, most of the top twenty runners maintained roughly their position throughout the race. They started strong and powered through at the end. A small number though started really slow and then slowly moved up the pack as others started to fade. I want to try to emulate that approach as I think it will work best for me. 35th, 27th, 22nd, 16th, 14th, 10th, 8th. Tailwind. Mostly. This is one of the things I suspect my newbie status at this distance will catch me out on. I have used tailwind quite a bit now and it always seems to work for me. I also use chia bars for the sensation of eating something solid. As I’ll talk about later, I want my CP strategy to be fast and simple, so I don’t plan on hanging around at any point. So I’m planning on making up several bottles of tailwind and making sure I carry two chia bars as backup between each CP. I might have a bowl of cereal or porridge on stand by at one or two of the CP’s in case I am needing something more substantial. In and out fast. No loitering, no sitting about in chairs. Over the ultras I’ve done so far I’ve got progressively better at passing through checkpoints rather than stopping at them. I know that as this race plays out I’m going to get hellishly tired and the temptation of sitting down at Kinlochleven (KLL) and having fish and chips will be strong. However, I’m determined to try to run a really good race and so will try to push myself out and walk on from CP’s whilst eating something rather than stand or sit around. I put in my plan for a 10 mins stop at KLL, I want to think of that as a buffer though, rather than something mandatory. I am planning to change my shirt either there or at Glencoe as it will be evening time by then and I will likely want something warmer on. Adding this time into the plan gives me options. I’m going to go with my Salomon Sense Ultra 5’s for the whole race I think. I’m enjoying running in them and unless it gets really wet and horrible between now and the race, I don’t think the extra grip of my other trail shoes will help. I bought a Salomon waist pack recently which I’m enjoying using. It carries two 500ml bottles plus enough expanding storage to fit in a light jacket and a bar or two, plus my phone. I have my trusty salomon adv skin 12 pack too which I will use if the weather is crap so I can carry extra clothes, but the plan is to be as light as possible. This has been the hardest bit so far. I have one guy from the Lomies who has offered to help me and as a bonus he also has a camper van, which will feel like a real luxury on race day I’m sure. My road crew is just him though for the moment so I need to find one or two others to help out so he doesn’t have to take all the strain. I have two support runners signed up if I want them, although if my plan comes off, I will be within 4 hours of the race leader and so won’t be able to use a support runner. Overall though, more work needed on support crew. With 30 days to go from today, I need to be careful now not to get into panic mode. I haven’t had as many long runs as I would have liked to have had. However, those that I have had I’ve felt good on, so I’m not too worried. I am looking to do two more long runs on the WHW before the race. One from Glencoe towards Fort William as an out and back for about 50km. Another along the loch side section from Balmaha to Inversnaid, mainly to remind myself and familiarise myself with this trail so I can be more confident on the day. I remember in the fling last year I hated this loch section so I want to banish those thoughts before the race with a good run on that stretch. Overall, I’m feeling good. I know I’m not going to win this as there are some seriously good runners. However, I do feel confident that if I approach this right, I have the fitness to hit my 20 hour goal and run a good race. I’m using the Salomon ultra 12 pack at the moment and loving it! Yeah, it is a great bit of kit. I find the tendency is to carry too much though in long races. I’m going to use the waist pack for the WHW I think, keep things as light as possible.